Travel: Ground transportation from Nairobi is approximately four hours. Time Difference: +7 hours Daylight Savings Time (EST), U.S.A.; +8 hours Eastern Standard Time, U.S.A. 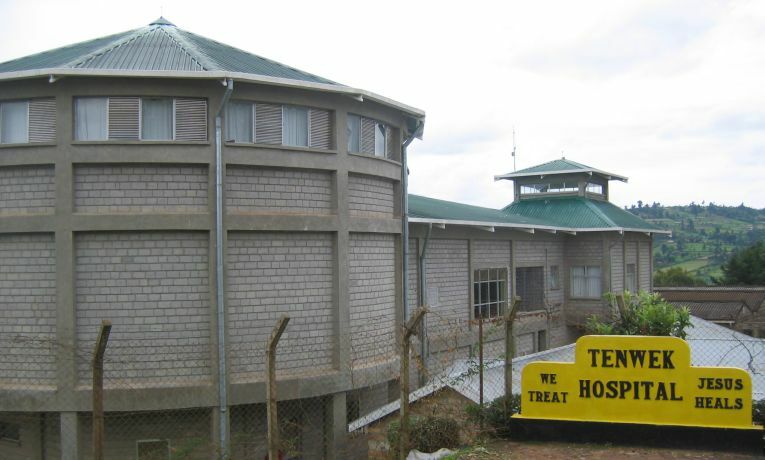 Location: Tenwek Hospital is located 225 miles northwest of Nairobi and five miles east of Bomet. People: The largest group of people served by Tenwek Hospital is the Kipsigis who live off an agricultural economy. Language: Although English and Swahili are the official languages of Kenya, Swahili and local tribal dialects are spoken most of the time. Charts are written in English. Religion: Christianity was first brought to Kenya in the fifteenth century by the Portuguese, and spread rapidly during the nineteenth century, when it experienced a revival. Today, the main Christian denominations in Kenya are Protestant, which make up 45 percent of the country’s religious composition. The Roman Catholic Church represents 28 percent of the population. The Sunni path of Islam is the religion of approximately 10 percent of the Kenyan population. The North Eastern Province is predominantly ethnic Somali and Muslim. The Coast Province also has a significant Muslim population. Climate: Because Tenwek is situated in the highlands at 6,800 feet, the climate is very moderate and pleasant. September-May is the driest and hottest season; June-August is more moderate and cool in the evenings. Temperatures average between 51 F and 70 F in the cool season and between 52 F and 79 F degrees in the warm season. There are two rainy seasons: November-December and March-June. The average rainfall at Tenwek is 55 inches. Housing: Many short-term volunteers stay in the guest house, while families and long-term volunteers may be housed in a vacant missionary home as available. Room and board charges generally cover food, water, cooking gas, electricity, and upkeep. Those traveling to Tenwek may want to hire household help. This is a national who has been screened by the hospital and is always very helpful with cleaning and light cooking. This is very inexpensive. Food: The first meals for volunteers are provided in missionaries’ homes. Single visitors will usually be on the hospital meal plan. Long-term missionary families and nationals may invite you to their home for lunch or dinner. After the first few days, married couples normally prepare their own meals. A grocery trip is made to Kericho (a one-hour drive) twice a month for items that are not already stocked in the pantry. There are also a number of shops at Tenwek. A short drive from Tenwek, there is a weekly market which sells local items and vegetables. Nationals come to the Guest House area with fresh vegetables and various food items to sell. For More Information: Contact Mrs. Dayna Wright by email or by phone at (828) 278-1168.